Once again brave swimmers will be pitting themselves against the (hopefully) not too wild water of the Tamar! 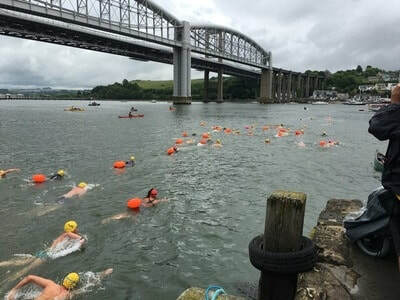 The wild swim from the Saltash side of the Tamar across to the opposite side is organised by Devon and Cornwall Wild Swimming. ​They will be leaving from the Ashtorre Slip on Sunday at TIME TBC. ​Come along and watch and cheer them on!